It’s finally school holidays! Yet I’m going to be busier than usual. This week I’ll actually be teaching some kids how to make movies in Minecraft. Having an avid Minecraft player at home, it was fun to look at it as an animation tool, rather than just a build game. My husband had a bit of a play around with an idea for an animation that he’s had for a while, and we thought we’d capture a little bit of that in Minecraft, to try a few different camera and capturing ideas. Using just a couple of extra, free pieces of software we knocked up this 1 minute example. These school holiday courses are fairly new in Australia, and I hope they end up reaching far and wide. It’s a great way to get kids thinking outside the box (or blocks), and do something more creative with their Creative World in Minecraft. Sometimes you need to plan an adventure into an epic project. Currently, above our TV is a tapestry rendition of Picassos’ Guernica. My husband’s Great Aunt worked it. It is an amazing piece. I don’t, however, love it as much as I used to. It’s also starting to freak The Boy out a little. He asked what the picture was a little while ago, trying to explain it to him, without going into too much detail has been hard. As we’re starting to think about redecorating the house, I decided that it could probably be replaced. None of the other tapestries that we have would really work in our loungeroom. They’re beautiful, but just not what is right for us. I’ve managed to convince my Husband that this might be an option. 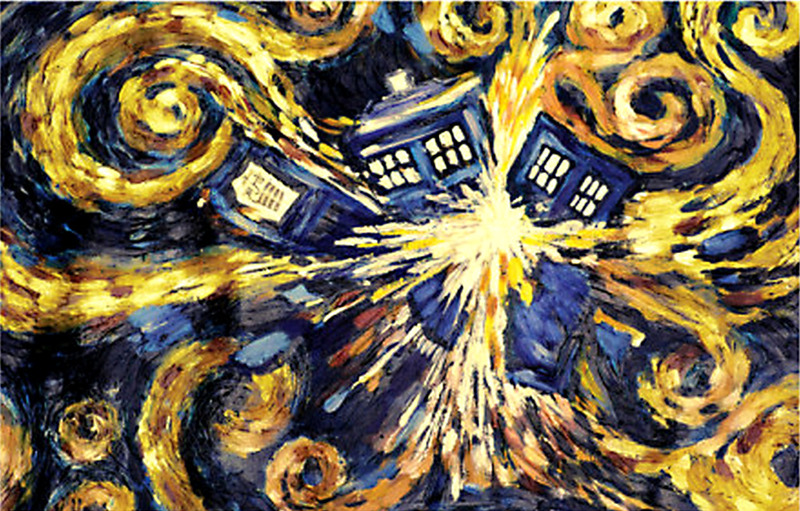 It is the “Exploding Tardis by Van Gogh” from the Doctor Who episode “The Pandorica Opens” (New Season 5, Episode 12). There are posters available, as well as an oil on canvas from the ABC Shop, but I wanted to make this. My plan is to cross stitch it, then stretch it over a canvas (or I may need to build a frame). Husband has jumped on board with the idea, so I went on the hunt for a chart and found one on Sprite Stitch. I’ve decided on 14ct Aida as my base, and it will finish up about 85cm x 54cm. It’s a bit smaller than what is up there now, but I still think it will be striking. I’ve been collecting the cottons, as there are 78 colours in all, and almost 140 skeins needed. Once the main picture is done, I will need to add a border on the four sides, so the sides of the canvas (or frame) will have some coverage. My husband is going to adapt a tapestry frame for me so it can sit in my loom stand, it’ll make the whole process THAT much easier. I really can’t wait to start, but there are things I have to finish first. I can’t imagine it will be a fast project, but I am looking forward to working on it, all the same. For those of us who have enjoyed the exploits of the Tenth and Eleventh Doctors, it’s been hard to watch them leave the show. As much as I’m looking forward to the new direction of the Twelfth Doctor, I would have liked a couple of more adventures with his predecessors. Doctor who has not only been a TV show over the years, there have been books, radio/audio adventures, animated features, and comic books. More material for the fans of the show to devour. 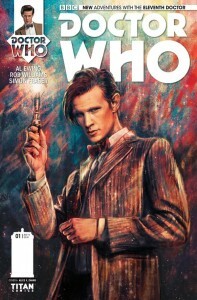 Now Titan Comics have released two new series, within the Doctor Who universe. 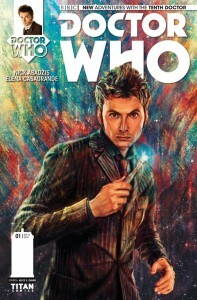 Doctor Who: The Tenth Doctor and Doctor Who: The Eleventh Doctor. They can be bought at most comic book stores, I got mine from Kings Comics in Pitt Street, Sydney, or if you prefer a digital copy, then head over to Comixology. I’ve only recently rekindled my love of the comic book, first with the latest Serenity: Leaves on the Wind series, and now both of these lovely Doctor Who series.